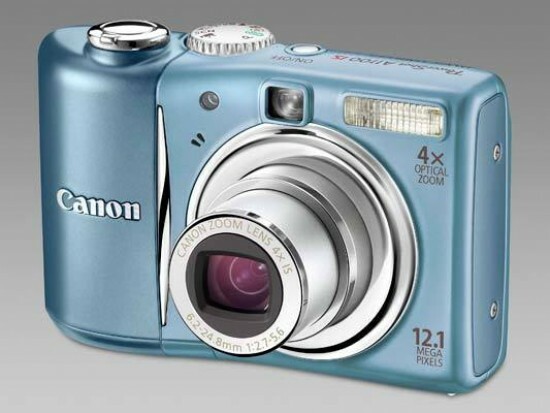 Reviews of the Canon PowerShot A1100 IS from around the web. To start out 2009, Canon has released the A1100 IS, upgrading the A1000 IS from last year. Two of the major upgrades to the A1100 IS are a 12.1-Megapixel sensor and the new DIGIC 4 processor. This new processor allows the camera to access information taken from thousands of images to correctly choose the proper shooting mode for the current scene or subject you are framing. It also helps improve focus speed, accuracy, exposure and white balance. Other new additions include Canon's i-Contrast technology as well as Face Self-Timer, which waits for an additional face to enter the frame before capturing the image. This allows the photographer to take his or her time getting into the frame after setting up the camera for a group photo including him or herself. Carrying over from the previous model are the major features like Optical image stabilization and 4x optical zoom.